Next year's Tony race just heated up! As widely expected, Ben Platt will reprise his Obie-winning performance in the title role in the previously reported Broadway transfer of Dear Evan Hansen. Directed by Michael Greif, the buzzy new musical is set to begin previews in November and officially open on December 4 at the Belasco Theatre. 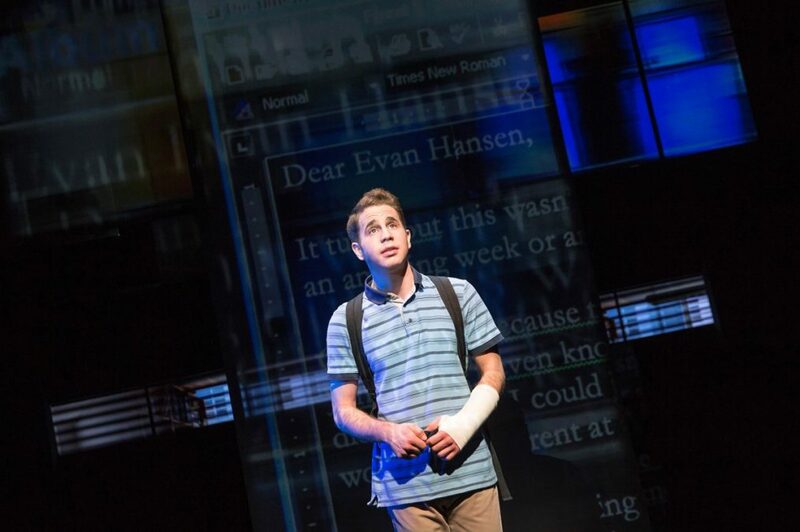 With a book by Steven Levenson and score by Benj Pasek and Justin Paul, Dear Evan Hansen had its world premiere at Arena Stage, Washington D.C., last year and recently concluded its New York debut at off-Broadway’s Second Stage. The Book of Mormon and Pitch Perfect alum Platt, who led the world and New York premieres of the musical, will be joined by his Second Stage co-stars Laura Dreyfuss (Once) as Zoe, Rachel Bay Jones (Pippin) as Heidi, Tony nominee Jennifer Laura Thompson (Urinetown) as Cynthia, Mike Faist (Newsies The Musical) as Connor, Will Roland (Broadway debut) as Jared and Kristolyn Lloyd (Broadway debut) as Alana. Emmy winner Michael Park (As the World Turns), who originated the role of Larry Murphy at Arena Stage, returns for the Broadway production, replacing John Dossett. The production will feature choreography by Danny Mefford, scenic design by David Korins, projection design by Peter Nigrini, lighting design by Japhy Weideman, costume design by Emily Rebholz and sound design by Nevin Steinberg. Music supervision, orchestrations and additional arrangements are by Alex Lacamoire, with musical direction by Ben Cohn.